중앙회관 offers the best bibimbap experience I've ever had in that lovely city and I highly recommend a visit if you have the chance. 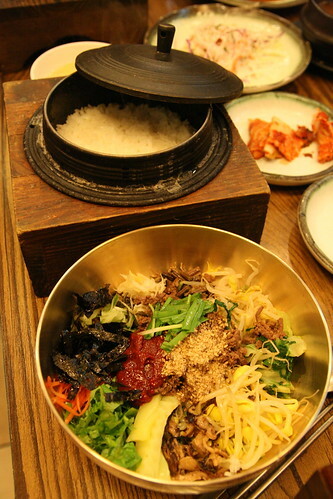 For 10,000 won you can get the 옛날 가마솥 비빔밥 (Old Style Stone Bowl Bibimbap) and it's worth every penny. That is then beaten to within an inch of its life by the restaurant's resident mixologist. 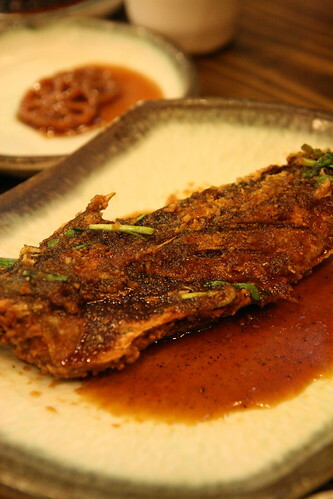 And a heavenly marinated grilled fish. Great service, great food and beautiful bibimbap. 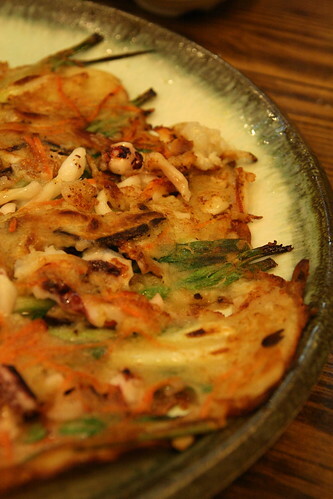 Plus their 해물 파전 (Seafood Pancake) for 10,000 won is worth splashing out for. Crispy, crispy joy on a plate. 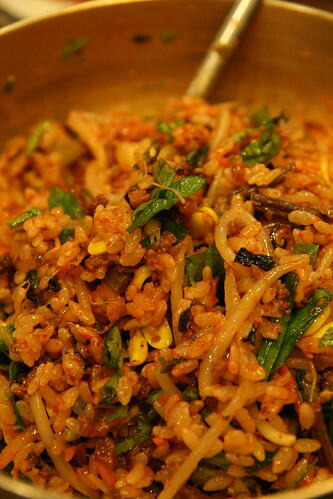 So there you have it, my personal pick for the best bibimbap in Jeonju. All that remains is for me to try out Rob's recommendations... 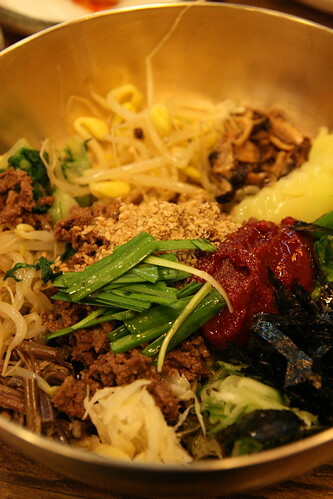 I'll be heading down to Jeonju in August for a little bowl of bibimbap heaven. Great post and thanks for mentioning my post over at Zen Kimchi. I have to admit that your place does indeed look fabulous and I will certainly be trying it soon, I might even go tonight! Thanks, I just hope it's as good as it was back in January... Let me know what you think. Dude! That's the place I always go when I go there. Did you go to Veteran for Calguksu? It's amazing. Glad to hear you've tried it to! As for Veteran... directions please! I'm always on the lookout for good noodles. Great post. My buddy and I may pop into there for lunch tomorrow. Cheers! Just went there and it was indeed AMAZING! Love this place! 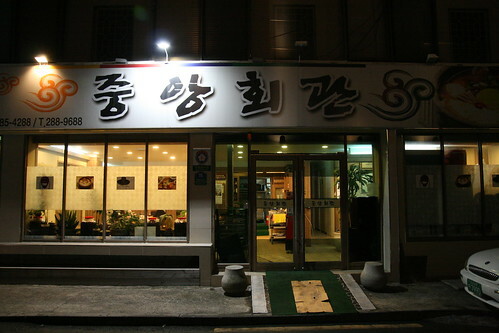 Good price, a whole bunch of delicious side dishes, and an excellet price. You must go!! A Bigger Better "What The Book?"